No more climbing ladders, tangled messy wires and bulbs. 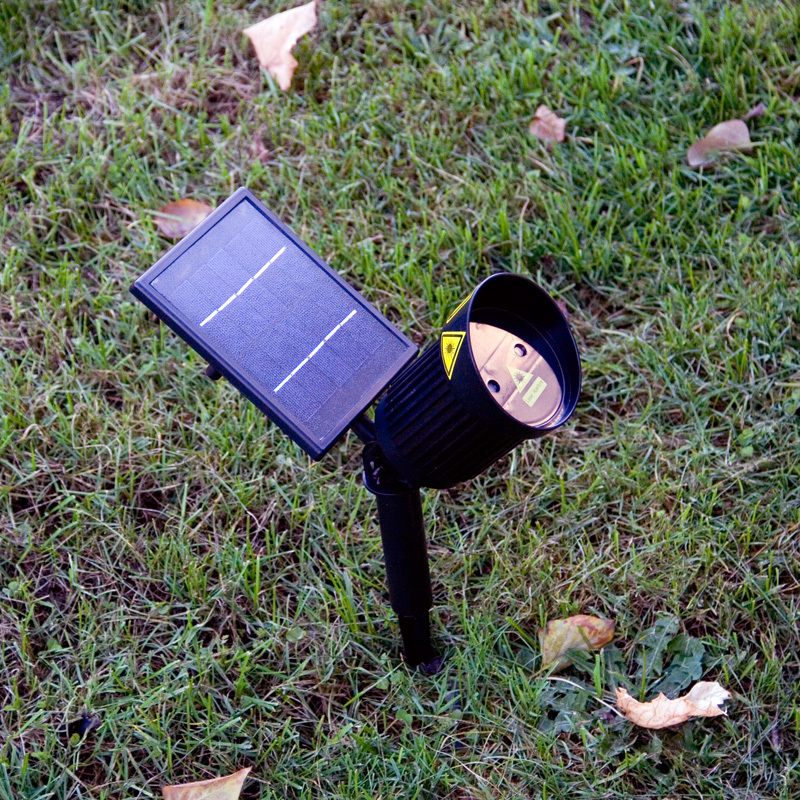 Powered by the Natural Sunlight and no electricity cost! 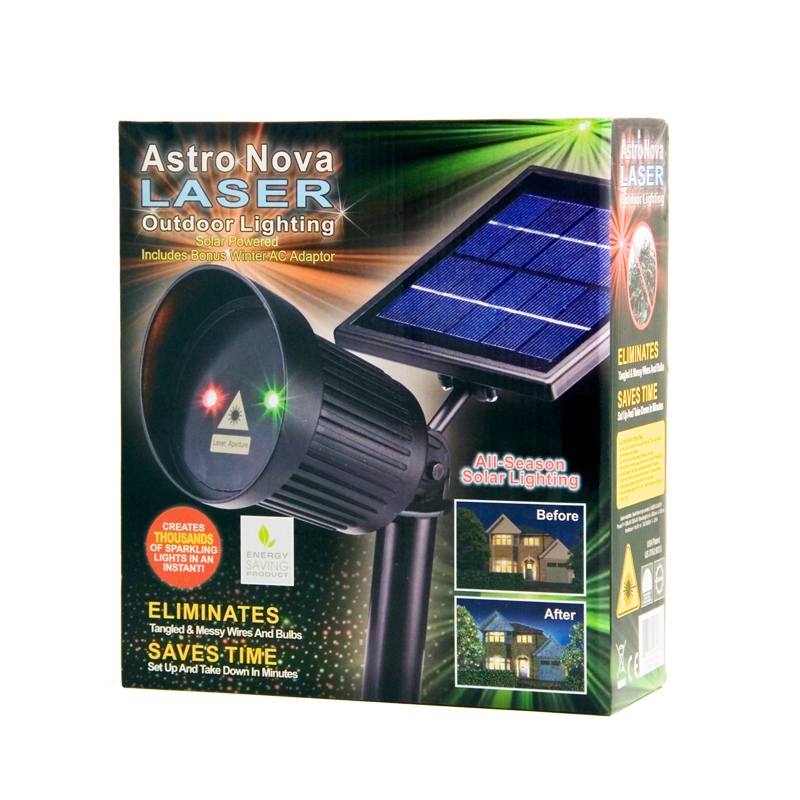 The Astro Nova Laser Projector creates thousands of sparkling red and green lights in an instant. 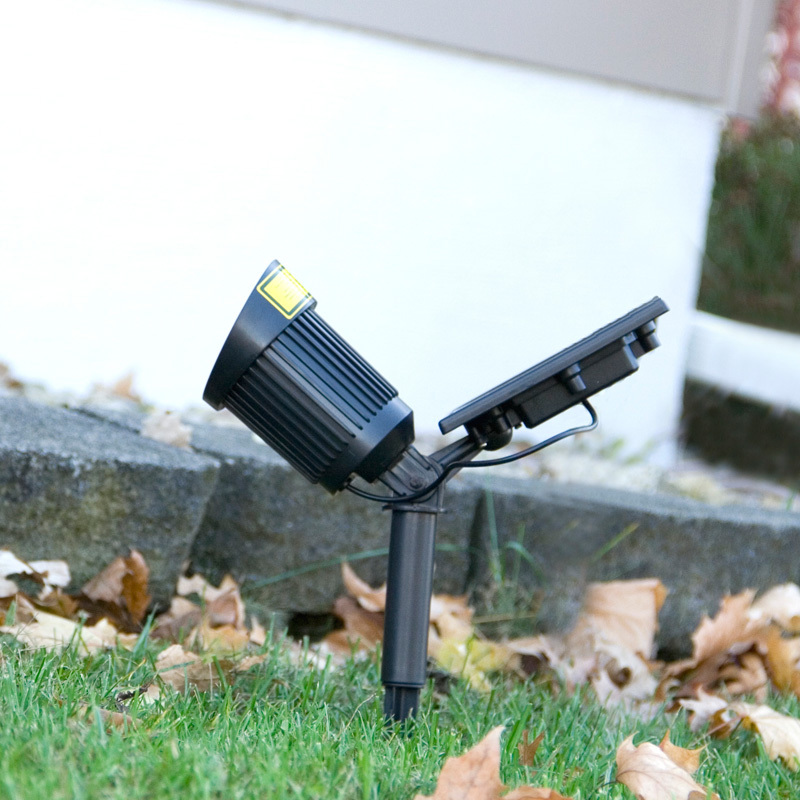 It's easy to install and turns on at dusk and off at dawn. 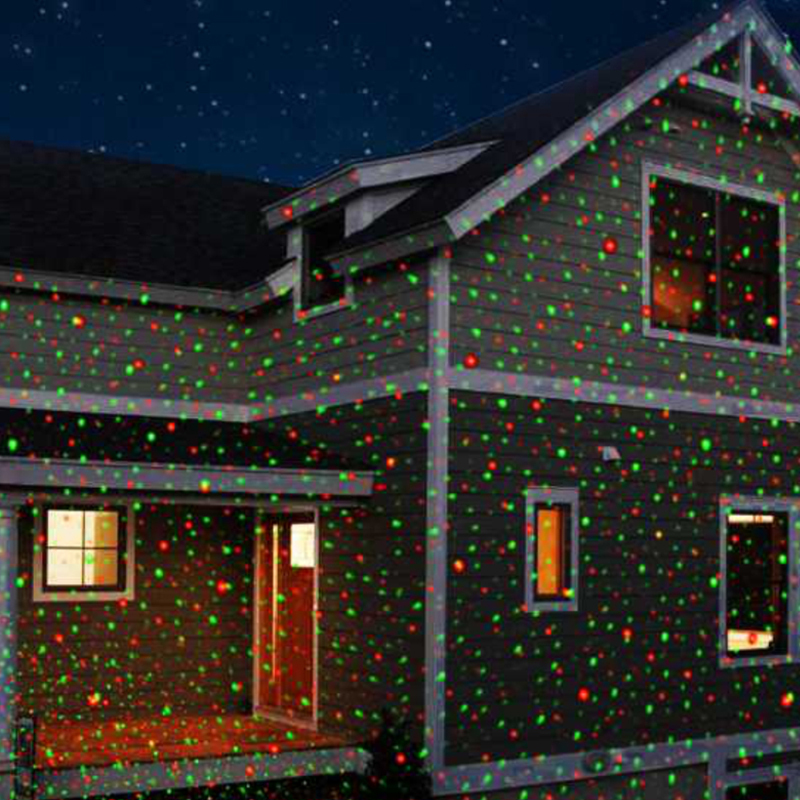 There are 3 different light functions to choose from: Green (steady on) , Red (steady on) or Red/Green Flashing. Easy to assemble. Requires no tools for installation. 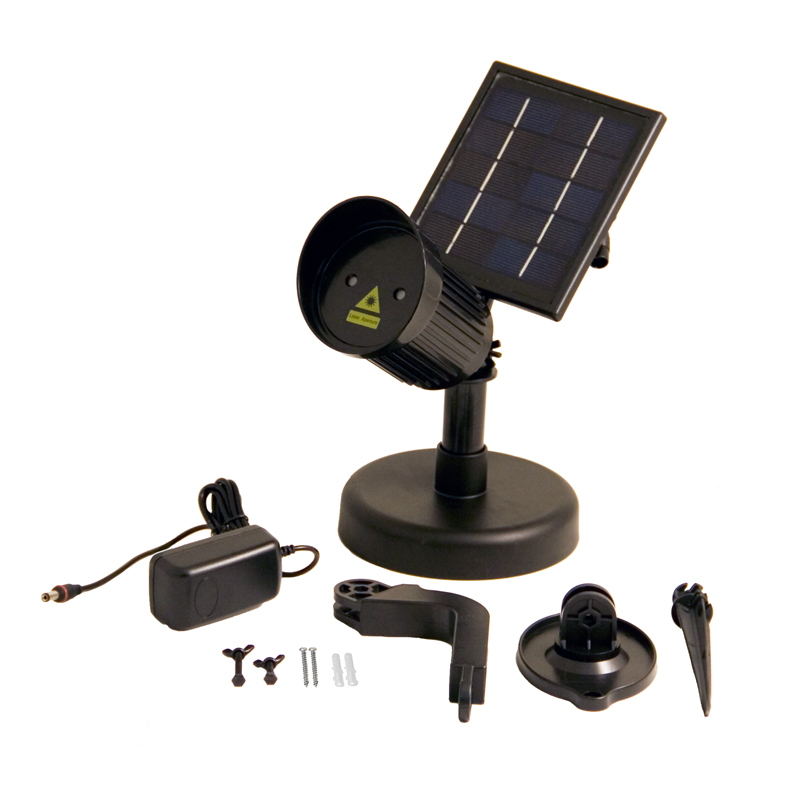 *Bonus UL approved AC adapter included for use in areas where sunlight is limited.